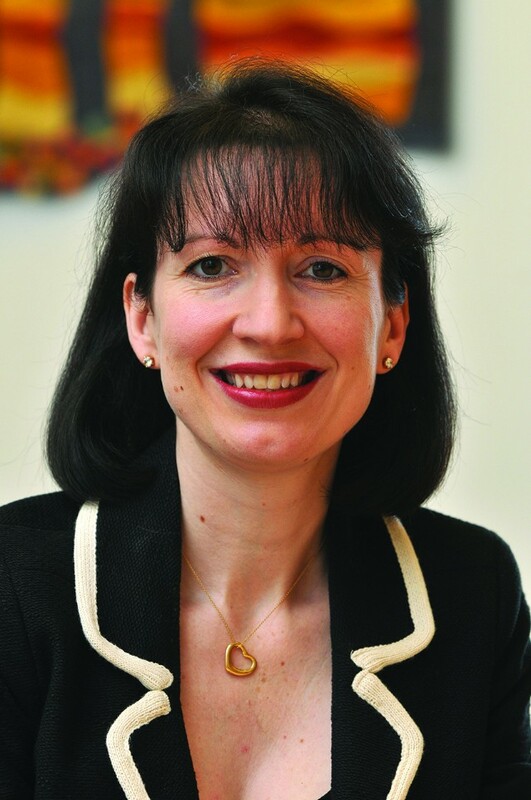 In the prestigious New Year’s Honours list, our Scientific Advisory Board Chair, Dr Suzy Lishman, was awarded a CBE for her services to pathology. Dr Lishman is the former President of the Royal College of Pathologists and continues to work as a Consultant Histopathologist at the North West Anglia Foundation Trust. We asked Dr Lishman about her CBE, why pathology is so important for bowel cancer and reflect on some of her top career highlights and reveal her hopes for the future of pathology. How does it feel to be awarded a CBE for your work? I am thrilled to receive a CBE and very grateful to have had the opportunity to lead the pathology profession to improve care for patients. It was an honour to be elected president by the members of the Royal College of Pathologists and a pleasure to work with so many dedicated doctors and scientists. While it’s obviously very exciting for my family and me, I’m also delighted that the importance of pathology has been recognised in this way. Almost every patient has multiple pathology tests yet people rarely meet their pathologist and often don’t understand what the specialty involves. I’ve tried to take pathology out of the lab and into schools and communities to highlight its central role in preventing, diagnosing and treating disease. How are pathologists involved in diagnosing and treating people with bowel cancer? Pathologists are doctors who are trained to diagnose disease by examining tissue samples with the naked eye and under a microscope. The specimens they examine range from tiny biopsies measuring one or two millimetres, all the way up to entire colons, measuring over a metre. Biopsies or small pieces selected from a larger specimen undergo a chemical process to preserve and harden them. They are then cut into very thin slices, which are put on microscope slides and stained so that cell components can be seen. Pathologists examine the slides under a microscope and describe what they see, interpreting the appearance and making a diagnosis of cancer, for example. Examination of larger specimens includes assessment of surgical margins, to determine whether a cancer is completely removed, and lymph nodes, to find out whether the cancer has spread. Once a tumour has been identified, pathologists undertake further tests, often involving molecular techniques, to find out more about the tumour type, including whether it may be due to an inherited abnormality and whether it is likely to respond to certain drugs. What does the typical day of a pathologist involve? A typical day for me involves getting to the lab for around 7.30am and spending much of the morning looking at slides under my microscope, often with a trainee pathologist. Although I am the lead pathologist for bowel cancer screening and colorectal cancer, I also report biopsies from other organs, including the skin, upper gastrointestinal tract, uterus, bladder and prostate. Late morning I might review all the cases that are to be discussed at the weekly lunchtime colorectal multidisciplinary team meeting. I then attend the meeting, at which each individual patient is discussed, with contributions by a wide range of experts including surgeons, radiologists, oncologists, nurses and dieticians. The whole team share their knowledge of the patient and their condition to determine the most appropriate course of treatment to offer. After the meeting I might spend an hour examining specimens that have just arrived in the lab and selecting the pieces for microscopic examination the following day. Every afternoon I sit down with my colleagues at a microscope with nine eye-pieces so we can all see a slide at the same time. We discuss difficult and interesting cases, sharing our experience and learning from each other. I finish off the day by authorising all the reports I’ve dictated during the day, usually at around 6pm. What achievements are you most proud of in your career so far? The achievement of which I am most proud is my work on public engagement, particularly the introduction of National Pathology Week and International Pathology Day. Thousands of events have been held around the country, and around the world, raising the profile of pathology and encouraging pathologists to open the doors of their labs and talk to the patients they serve. I have developed resources including event templates, presentations, booklets and quizzes to make it as easy as possible for pathologists and scientists to hold their own events. One of the most rewarding things has been reading reports of highly successful events being held by pathologists I’ve never met, but who have used my online resources for inspiration. This work has had many benefits, not only informing the public about the important role of pathology but also inspiring school students to consider careers in pathology and improving team-building among pathology staff. What are your hopes for the future of bowel cancer pathology research/services? I am delighted that the National Institute for Health and Care Excellence (NICE) and the Royal College of Pathologists have now recommended testing for all colorectal cancers to identify people with Lynch syndrome. The challenge now is to ensure that every pathology department in the country has the resources and expertise to carry out the testing and interpret the results. Molecular testing is likely to revolutionise the treatment of bowel cancer in the future. It is already being used to find out if tumours are likely to respond to certain treatments. One aim for the future is for therapies to be personalised for every patient so that they receive the treatment that will work best for them. The ultimate aim is of course to prevent people from developing bowel cancer in the first place. Investment in screening and genetic testing will help reduce the number of cancers presenting at an advanced stage and make cure more likely. I am honoured to chair Bowel Cancer UK’s Scientific Advisory Board and excited about the research that the charity will be funding to save lives.